The Project Management Institute (PMI)® has developed a set of criteria and credentials for recognizing project management professionals who use Agile methodologies in their project, the PMI Agile Certified Practitioner (PMI-ACP)® certification. The credentialing process is fairly rigorous, including: 2,000 hours or twelve months of general project management work experience, 1,500 hours or eight months of Agile specific project experience, and 21 hours of training in Agile specific practices. The amount of material that is covered by the PMI-ACP® Exam is extensive and can seem overwhelming, but don’t be intimidated! Having and using the 7 items in this article will ensure you are prepared to meet the exam head-on and achieve optimal results both on exam day and in your future career. The PMI-ACP Handbook gives you all the details of the Exam process including exam policies and procedures. The first two sections are a must read for anyone considering PMI-ACP certification. These sections cover the must know basics such as exam eligibility requirements, how to complete the online application, the payment policy, and the Exam blueprint. Knowing and understanding this information will go a long way to reducing your exam day stress. The material covered by the PMI Agile Certified Practitioner Exam is extensive, detailed, and spread throughout many sources of reference material. This is not an examination you can “cram” for in a couple of weekends or simply rely upon your experience and pass. Plan to take the exam after spending 10-12 solid weeks of studying for an hour or two just about every day. Of course you will need to develop a schedule that is flexible enough to fit in with the rest of your responsibilities and commitments. 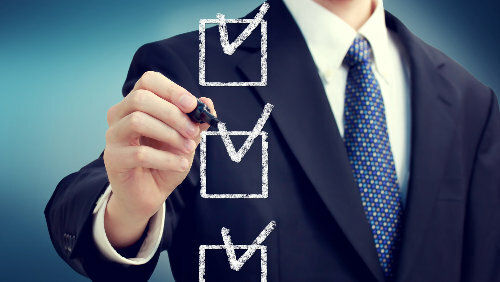 As a project manager, you are aware of the importance of planning and scheduling. Take those valuable skills and create a study schedule for 10-12 week period that fits well with the rest of your responsibilities. Depending on your job and household commitments, you may need to schedule more or less time. 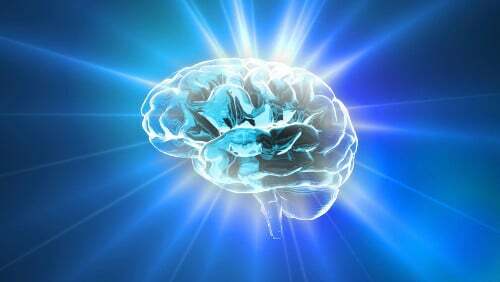 Take a practice exam to identify the areas that you need to spend more time focusing on during this 10-12 week period. Make sure your schedule is realistic and set weekly goals to track your progress. Don’t forget you also need to include time in your schedule to take breaks and participate in activities you enjoy. With the great number of material covered by the Exam, another option is to enroll in a self-study course. 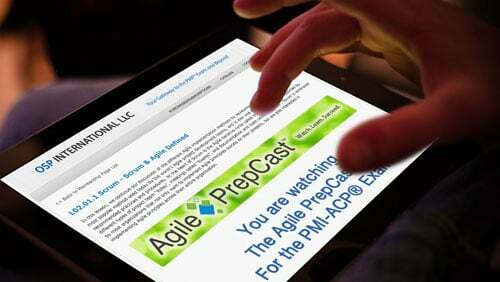 The latest generation of self-study comes to you in the form of Agile Podcasts / Videocasts. These can be downloaded to your smartphone, laptop, tablet, computer, or other portable media device. This makes your PMI-ACP Exam training portable, allowing you to listen or view whenever you have some free time. Self-study Agile Podcasts cover agile frameworks, tools and techniques, knowledge and skills, and methods required for the exam in everyday English. As an added bonus, taking your lessons in this way can count toward the required 21 contact hours of Agile specific training. There are a wide variety of Exam prep books available, which are also sometimes called “study guides”. They explain the concepts covered in the Exam and can be a great addition to the reference materials suggested by PMI. Go to your local bookstore and select one that fits with your style of learning and covers a variety of high- and low-yield topics. A large number of free PMI-ACP® sample questions are available from a variety of resources on the internet. Free questions are a good place to start, but will only go so far for you. You will also want to subscribe to an online PMI-ACP® Exam Simulator in order to access the highest quality of sample questions. Your study plan must include answering as many practice questions as possible and taking several complete 120-question practice exams. This type of preparation will allow you to evaluate your study progress and prepare you for the format of the real thing. You will be nervous on exam day, but being familiar with types and formats of questions will help reduce anxiety and prepare you for success. In conclusion: preparing to pass the PMI Agile Certified Practitioner Exam can be a stressful process, but it does not have to be. Include these seven items in your studies and you will reduce anxiety and exam day stress. Study hard and good luck!